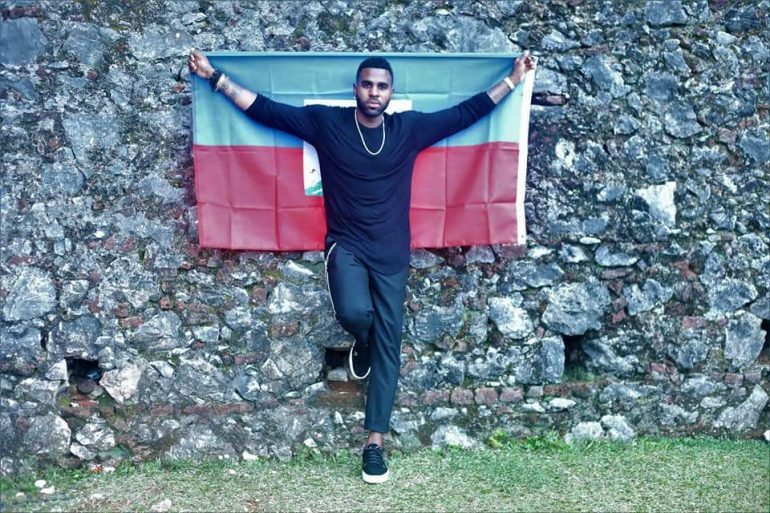 If you wanted to know how to win at being Haitian, ask Jason Derulo! Jason Joel Desrouleaux aka Jason Derulo dropped the visuals for "Colors", the official Coca Cola 2018 Fifa World Cup anthem. Haitians and many people all over the world have been united by this fast, catchy tune delivering a positive message. The lyrics of this song talk about unity and celebration for soccer, but I cant help but feel that this song was written for Haiti. Haitian history is thick and we've withstood many obstacles and we've never forgotten who we are. I think the lyrics are very fitting. As the son of two Haitian parents, Jason Derulo says this song is just the beginning of his plans to continue putting Haiti on the map. The video was partially filmed in the clouds on top of The Citadelle Laferriére in Nord, Haiti. This fortress protected Haiti from attacks from the French armiy looking to reinstate slavery in the newly independent republic. The remainder of the video was shot in Miami, Florida under a blanket of the world's flags waving in the air, while dancers moved in unison in their cultural garb. Brooklyn's own Riva Nyri Precil, (also Haitian-American) can be spotted in the "Colors" video dancing traditional Haitian folklore style. And what's a Haitian music video without a cameo appearance by Wyclef Jean?